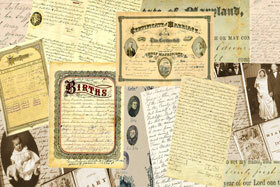 We create beautiful family trees with branches created using your own family names. You'll receive your tree on high quality photo paper printed in the size you choose. This will make them easy to frame and hang or give as a memorable gift. 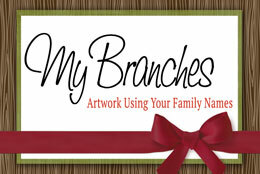 With your unique family structure and our customizable options, no two trees will look the same! Make your tree just the way you want it. Pick your color style and choose from a number of add-ons that will make your tree even more special. After you choose the customization for your tree, next you'll need to download a spreadsheet to submit the family names you've collected. 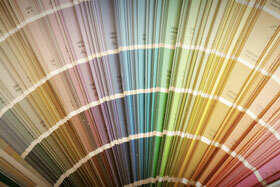 Your tree is color calibrated with our local professional printing shop. You can rest assured your print will look sharp, colorful, and beautiful. Make it special by adding a quote you love, or pick one from our samples. Is this a Birthday, Anniversary, or Wedding Gift? Commemorate the special day by adding the date to your tree. Or add dates to help make your tree more full. Any colors, any font. Your creativity is welcome. Want it to add your own special touch? Email us and we'll work it out together! The process was so easy. My questions were all answered promptly and I absolutely LOVE how it turned out! It was the perfect gift! Perhaps you do not have all the family names available to you? Maybe you're not sure what options to choose for your recipient? Under a time crunch for the perfect gift? A Gift Certificate might be the perfect solution! No where else can you get personalized high quality artwork for such a cheap price. Love your tree but need to update it with the latest information? No problem, we've got you covered. Looking for more? Check out the FAQ page for to get some help.